Maybe it’s the luster of the velvet. Maybe it’s the soft, plush hand. Maybe it’s because the subtle sheen looks good in just about every. single. style. Whatever the reason, I just can’t get enough of velvet sofas! They’re timeless. 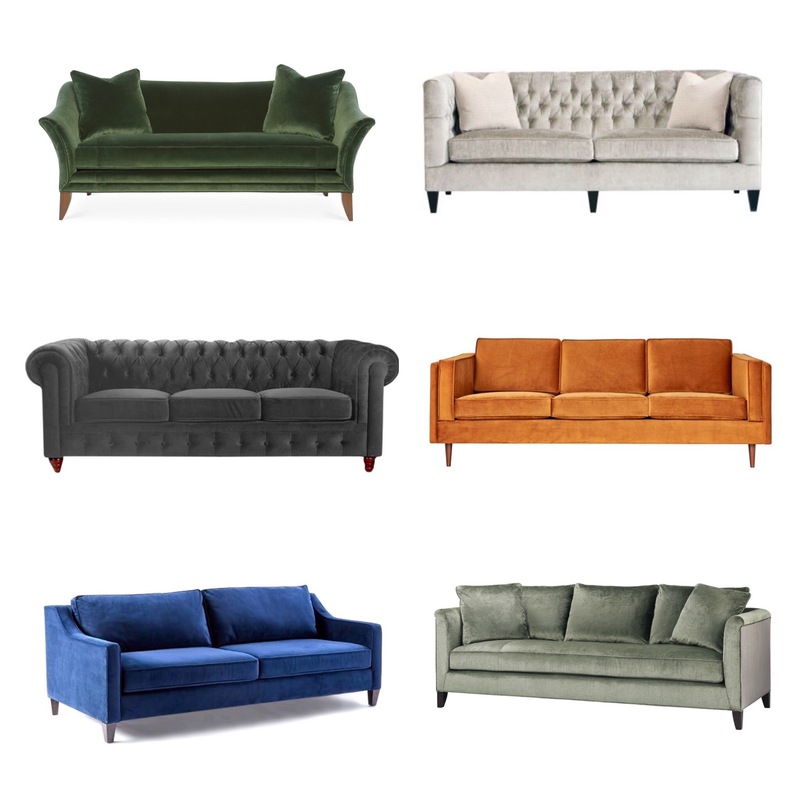 While my absolute fav is the classic Chesterfield (I soooo want one in a dark moss green! ), more contemporary sofas look pretty amazing as well. The burnt orange mid-century modern sofa looks as incredible in real life as it does in an image. Another great thing? They’re available in just about every price point from retailers like West Elm to designer-only vendors like Baker and beyond. Personally, I think the bold jewel tone velvets look the best. Check out this stunning aubergine version from Joss & Main! What do you think? Is velvet right for you? previous post: Slow Down, Look Around, and Be Inspired!